Crypto trading: What is, How to start, Cryptocurrency trading basics. First cryptocurrency exchange emerged 2 years after Bitcoin (BTC) was first described by Satoshi Nakamoto. Crypto ecosystem evolved rapidly when bitcoin’s rally in 2017 crypto became one of the hottest topics, and has since been evolving with new market players emerging every day. In today’s article we’ll cover what is crypto trading and how to start it. How does crypto trading differs from traditional trading? In its essence, crypto trading resembles traditional trading. However, there are several key differences that in part contributes to the rapid expansion of cryptocurrency trading. All traditional assets trading is done through licensed broker-dealers. Trading on crypto exchanges however doesn’t require any intermediaries, any cryptoholder can easily create an account on crypto exchange and trade directly. Cryptocurrency exchanges are available 24/7 compared to fixed working hours of traditional exchanges. Crypto assets are known for their volatility which also provides more opportunity to profit from crypto market. In contrast, assets on traditional markets are primarily traded by algorithms and as a consequence have a very low volatility. First step is acquiring cryptocurrency so that you can start trading. The safest way is to buy some amount from a friend. You may also check exchangers such as LocalBitcoins or Changelly. Other way to buy crypto is by making a deposit in USD on exchanges that support fiat (e.g. Bitfinex or Binance). Then you can either trade it against crypto or just buy some crypto to hold. Make sure you take into account into deposit and withdrawal fee on exchanges. Choose an exchange to trade. Exchanges differ not only in withdrawal and deposit fees, but also in trading fees and available pairs. Read our detailed comparison of top crypto exchanges and choose the one that suits your needs best. 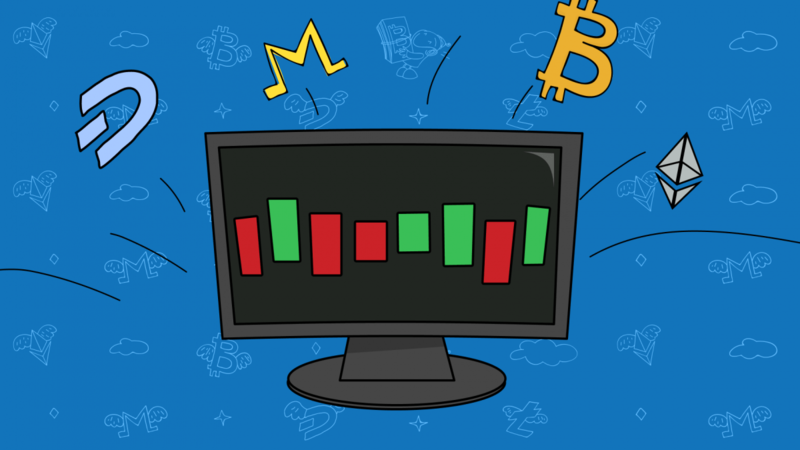 Although cryptocurrency trading is different from traditional ones, there are some rules and tips that every trader should pay attention to, no matter what assets he’s trading. Check out the rules for beginners in crypto trading that have been written based on years-long trading experience. Conduct fundamental and technical analysis before entering a position. Follow main players and crypto resources to stay on top of things. Choose a method to spot an optimal entry point and plan your exit. Once you understood the basic principles of crypto trading, you may try out automated trading bots. TradeSanta helps you take the most out of crypto market fluctuations and emotionless bots place orders 24/7. Sign up at TradeSanta today and try out automated trading for free.